A Fragile State – the 107 blog. 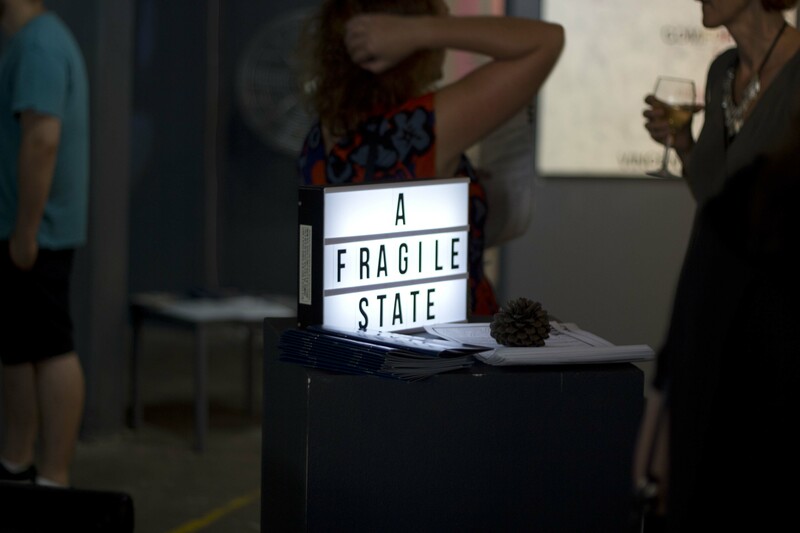 Held in February 2018, “A Fragile State” was a group exhibition of six contemporary emerging female artists exploring the theme of fragility across different mediums and artistic visions. Each artist brought a range of experiences, talents and creative journeys to the exhibition. The exhibition by Cinzia (Syndy) Esteves, Emily Karr, Bailee Lobb, Tracy Stirzaker, Catherine Thickett and Regula Wettstein-Graf encompassed 2D and 3D works including paintings, installation, performance, mixed media, photography and textiles artworks.